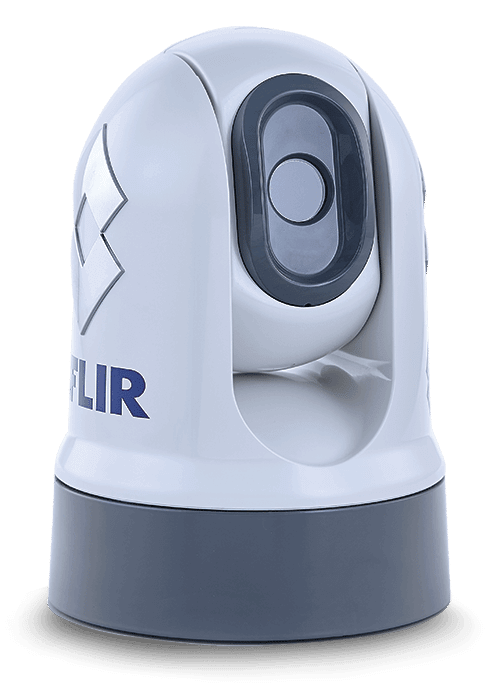 The FLIR M200 marine thermal camera is our smallest and most affordable pan and tilt marine thermal night vision camera. Using our latest generation Boson(TM) thermal core, the M200 lets boaters see at night in 320 x 240 thermal resolution and also features 2x digital zoom. When the M200 is combined with a Raymarine Axiom MFD, FLIR’s new ClearCruise™ intelligent thermal analytics technology offer boaters an entirely new level of awareness and safety. The M200 also use IP video technology and simplifies installation by eliminating extra video signal cables. The M200 offers features 2X digital zoom capability. Starting at only $3,495, the M200 is the perfect addition to any vessel.